Breakfast is the most important meal of the day! 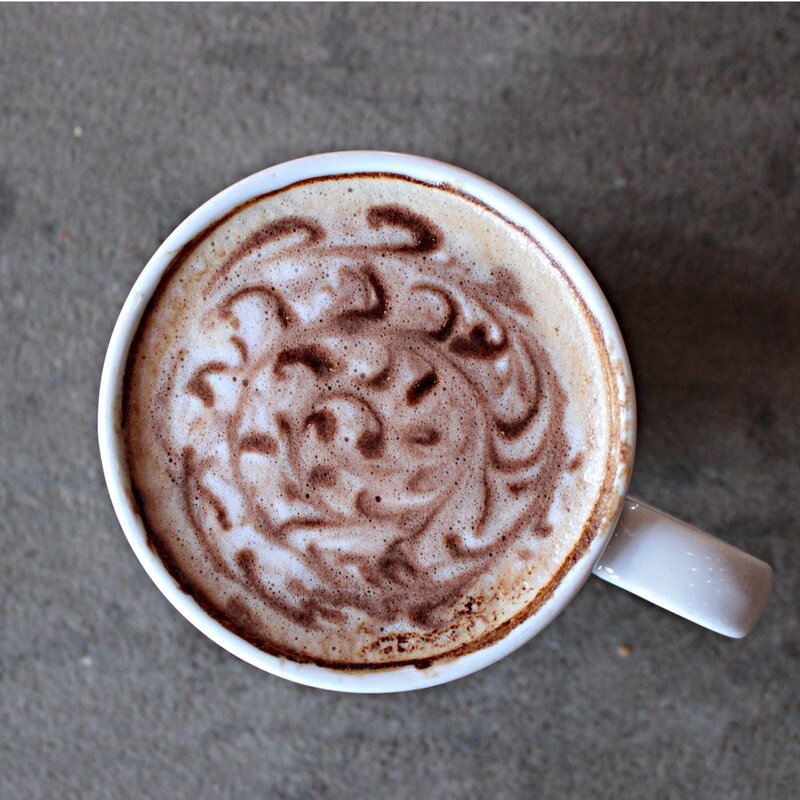 We serve espresso, hot teas, lattes, chai, and anything that you need to kick start your morning. We have the best homemade biscuits this side of Kay’s kitchen – served with cracked eggs and bacon or sausage daily. For a sweeter breakfast, we offer homemade cinnamon rolls, muffins or coffee cakes—they’re almost sinful! We offer several lunch options daily, including chicken salad croissants, BLTs, homemade chicken pot pies, pulled pork or griddle cooked burgers! Try a daily lunch special that gives you a complete home-cooked meal – entrée, side, bread, dessert and tea or lemonade for $10 flat! Beef tips in gravy, chicken and beef tacos, cheesy chicken spaghetti, old-fashioned chicken and dumplings, and shrimp tacos are on the menu for now, but it will adjust seasonally! We offer a variety of sweets like cookies, brownies, our famous Carmelitas, cupcakes, cake pops, small-batch pralines, bread pudding, parfaits and more! If nothing on this list tickles your fancy, call us and we’ll make your vision come true! That’s right! We’re the only place to get fresh, small-batch gelato in Northeast LA! We offer a variety of flavors – including favorites like milk & honey, chocolate, stracciatella (chocolate flake), sorbets, sugar free options, and some specialty creations that will expand your flavor horizons. Try pairing your favorite flavor gelato with a warm cookie or brownie a la mode! We also offer frappucinos with a shot of espresso and a scoop of your favorite gelato flavor! We serve a variety of espresso drinks - lattes, cappuccinos, caramel machiottos, breves, americanos, cafe au laits, dirty chais, drip coffee, or just a straight shot of espresso! Customize your drink with flavors (vanilla, hazelnut, mocha, caramel, white chocolate, pumpkin spice, peppermint), different milk alternatives (almond milk, soy milk, skim), or try your drink hot, iced, or frozen! With our collection of sweets, savory and our lovely and historic venue, there are no limits to what we can cater! Specializing in timely deliveries, we can accommodate varieties of groups including medical offices, schools, civic groups, parties and more. Our facility is available outside of normal business hours for your birthday, bridal or baby shower, or other special event. Let us do the cooking and cleaning so you and your guests can relax and enjoy!